At ELGIVA, our approach to search is simple but disciplined. Our first step is to spend a great deal of time with our clients, getting to know their organization, and creating, through a collaborative process, a profile of the ideal candidate. ELGIVA is building a tradition of providing professional, personalized, high quality services; tailor made to suit individual needs and requirements. Our Consultants have extensive experience in recruiting for the Non-IT Sectors , and our forte is in identifying talent for Senior Management positions to Junior Management levels. Currently we have offices at Bangalore (Corporate Office), Mumbai, Chennai , Kenya and South Africa.We are in the process of opening in three other cities. We undertake mandates for both Domestic and International clients and have ongoing engagements with several large MNC's for their critical manpower requirements and have been successfully meeting their exacting standards. We specialize in specific verticals and work with limited number of companies as our clients, thus offering qualitative and focused “SEARCH SELECTION”. Our separate ESD department exclusively handles all the TM (Top Management) and Board positions. A team of qualified researchers and principal consultants assists in this selection process. 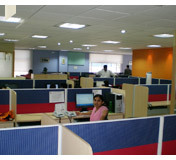 ELGIVA Business Solutions Pvt. Ltd. is affiliated with the World leader in the employment services, having a network of 4300 offices in 67 countries and has been ranked among US fortune 500 companies with an annual business turnover exceeding 15 billion USD. We work together in sourcing and evaluating profiles to meet each other's respective requirements within India and globally.